Greg Bell is a staff writer for the International Trade Administration’s Office of Public Affairs. The Japanese Ministry of Defense announced on Monday that, after a competitive bidding process, it has selected its next generation fighter aircraft — Lockheed Martin’s F-35A Lightning II Joint Strike Fighter. 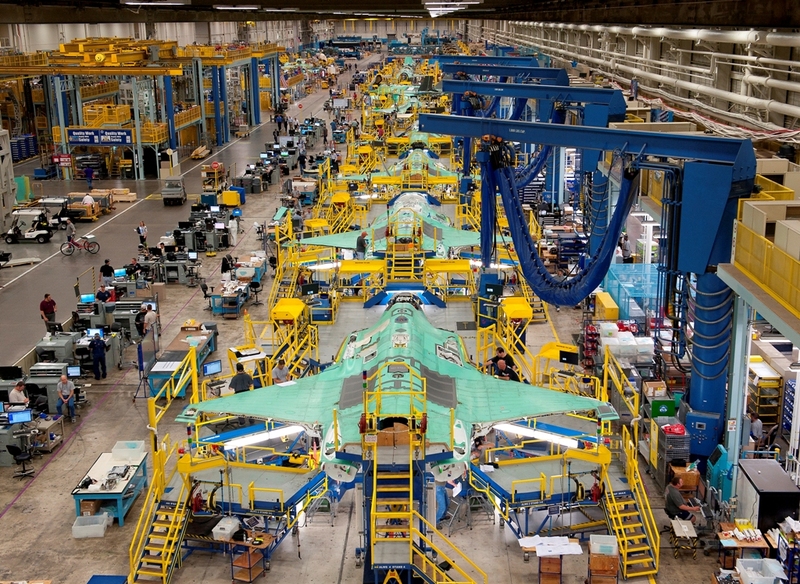 Lockheed Martin’s F-35, assembled at the corporation’s Aeronautics facility in Fort Worth, Texas, teams with 1,300 domestic suppliers in 47 states and Puerto Rico. It’s yet another sign that American-made products continue to represent excellence and quality all over the world. Under the terms of the deal, the Maryland-based aerospace company will provide more than 40 airplanes to replace older models in Japan’s fleet. The total value of the deal is projected to be $7.2 billion dollars, of which more than $5 billion is considered U.S. exports. What does this mean for Americans? Jobs. Why? Because exports put people to work. In fact, this Lockheed Martin deal will support thousands of American jobs — an important outcome at a time when so many are struggling. And, in the larger picture, this agreement highlights the great possibilities of doing business abroad; contracts with foreign governments provide a wealth of opportunities for U.S. companies — of all shapes and sizes — to boost exports, bolster their bottom lines and impact jobs here at home. U.S. firms need a level playing field on which to compete. The Commerce Department is committed to providing that level playing field. Central to this effort is the International Trade Administration’s Advocacy Center. Launched in 1993, the Advocacy Center works closely with Commercial Service offices abroad, as well as with other agencies throughout the Administration, to provide high-level support to U.S. companies bidding on major overseas projects. We want to ensure that contracts are awarded based on quality and price, not politics, connections or any other ancillary factors. To help American businesses navigate through the increasingly complex rules and regulations developing in the global economy. These efforts have led to great results. In 2011 alone, ITA’s Advocacy Center has helped U.S. companies win 51 overseas projects worth $36 billion, with U.S. export content of more than $25 billion, supporting more than 142,000 jobs. For the deal in Japan, general advocacy on behalf of U.S. firms came from all levels and corners of government — including Secretary of State Hillary Clinton, former Secretary of Defense Robert Gates and current Secretary of Defense Leon Panetta. The Commerce Department was also a strong voice in this process: former Secretary Gary Locke advocated on behalf of U.S. firms to the Japanese government. We are proud of our role in this landmark deal between Lockheed and the Japanese Ministry of Defense. And, we are eager to help all U.S. businesses succeed in doing business with foreign governments. So, if your company needs assistance, or if you know of another that could use some support, reach out to the Advocacy Center here. We believe in American products. We believe in American businesses. We believe in American entrepreneurs. And, we’ll do everything we can to create opportunities for success abroad. And as Secretary Bryson said recently, “Build it here. Sell it everywhere“.